It's a perfect day to laze away in the sun, waiting for the fish to bite. 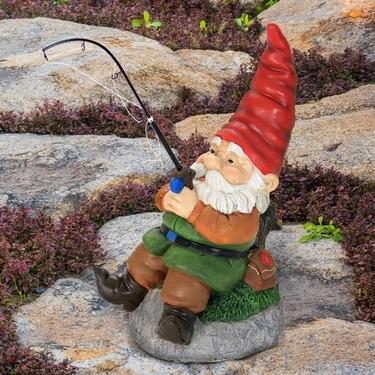 And there's no one better to share the day with than our new Fishing Gnome from our Premium Collection. So while you count the days until your next fishing adventure, share your memories with a whimsical Fishing Gnome. He understands and appreciates the importance of taking pleasure in the simple things in life, just like you. Size: 8" x 6" x 13" H, Resin.